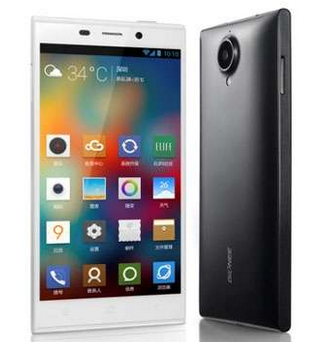 Gionee Elife E7 which is the world’s first phone with 2.5 GHz variant of Snapdragon 800 processor and also boasts of most sensitive camera with 1/2.3 Inch 16 MP sensor at the back with Largan M8 lens, will be lunched in India on December 24th. The front camera is also truly amazing with 8 MP sensor, with same 1.4 micrometer sensor camera module seen in back camera of iPhone 5. As you would have guessed by now, this phone is essentially a camera specific device, which has five triggers for capturing photos – voice-based trigger, shutter button, touch trigger, smile detection shutter and V-gesture. The camera UI is also rich with various editing options. The 3 mic assembly will provide you with clear high quality audio. The LTPS Display by JDI is 5.5 inches in size and features full HD 1080p resolution (401 ppi). The bezel is only 2.3 mm and the display is protected by corning gorilla glass 3. While on standby, the phone can respond to taps and screen gestures using a co-processor. The 2.5 GHz quad core Snapdragon 800 SoC powering this phone comes with 2 GB and 3 GB of RAM on 16 GB and 32 GB variants respectively. The phone internal storage however is not expendable. The phone will also support NFC and 4G connectivity. The Battery capacity doesn’t seem much impressive with capacity of 2500 mAh. The phone will be available in black, white, blue, pink, green, yellow and orange colors. In China, the 16GB variant is priced at 2,699 Yuan (approx. Rs 27,699) and 32GB at 3,199 Yuan (approx. Rs 32,730), and if as we saw in case of ElifeE6, if Gionee can release this phone at same prices in India, it will be a treat for smartphone lovers.